Before making any changes, you need to know exactly what space you have. 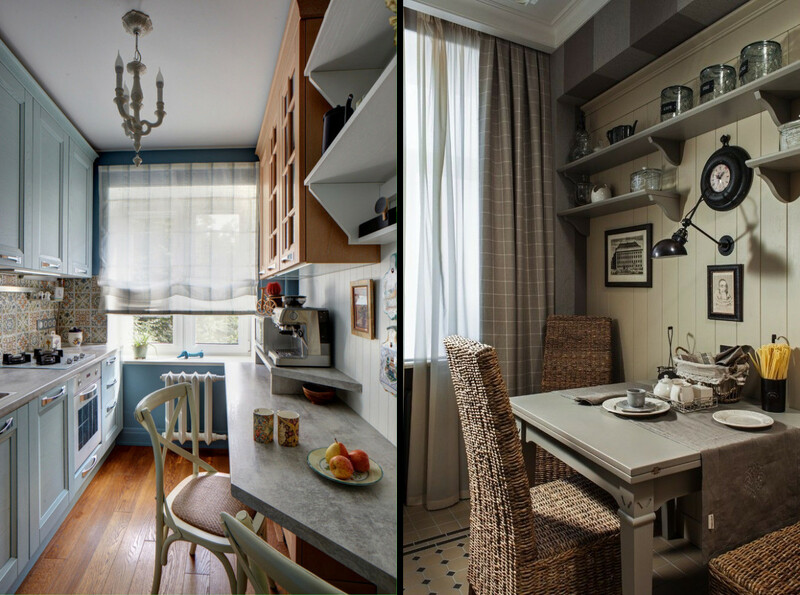 Some kitchen configurations can be tricky in the sense that you almost do not have room to integrate a table with chairs. A long and narrow kitchen can pose such problems. Fortunately, solutions exist. 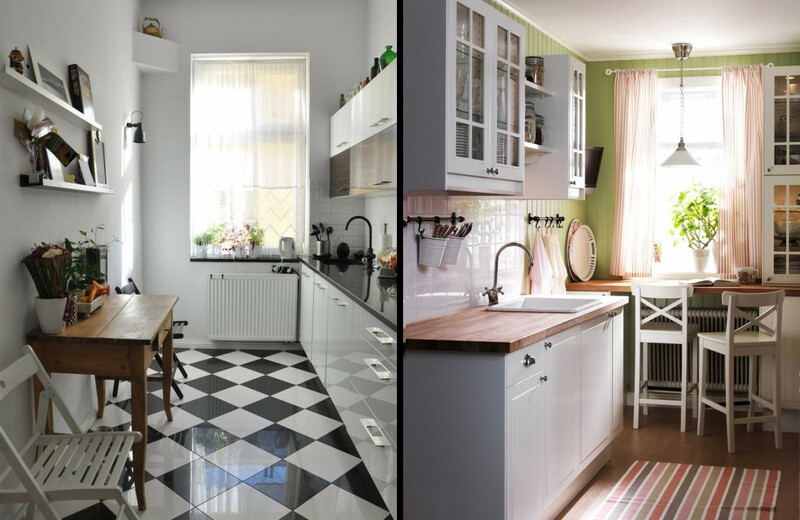 The shape of the kitchen will dictate the shape of the table you will choose. Square or semicircular patterns are a better option than round tables that tend to occupy more space. In addition, the table should allow storage of seats underneath it. Folding tables, which can be tightened when not in use, are one of the handy variants for small or very small kitchens. Depending on the space, you can also buy folding chairs. Its shape may be rectangular or semicircular. Extensible tables are also a good idea. Not just the form matters, but the size of the table. 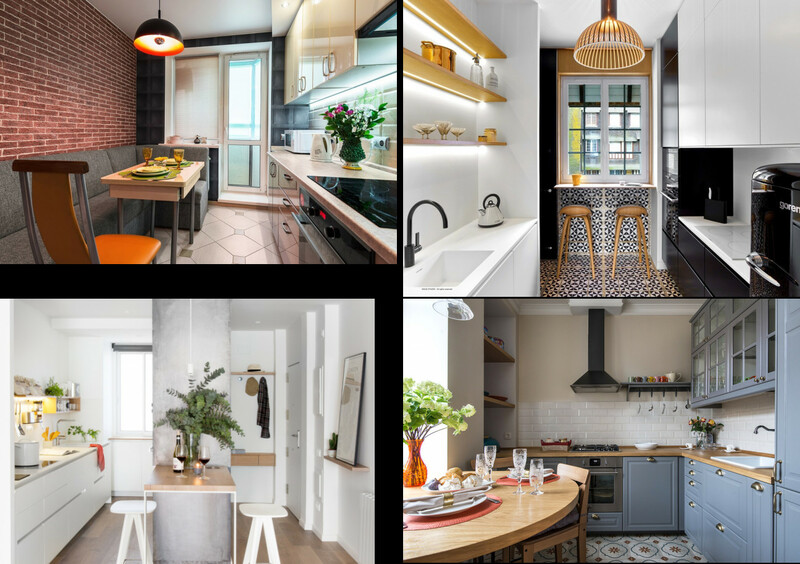 Because we are talking about small kitchens, and the model should be adapted to space; square or rectangular, it is important to follow the layout line and not to interfere with the kitchen movements. That's why we say that in small spaces, adaptation is the key word. If the classic options are excluded, then it's time to look for alternative solutions. 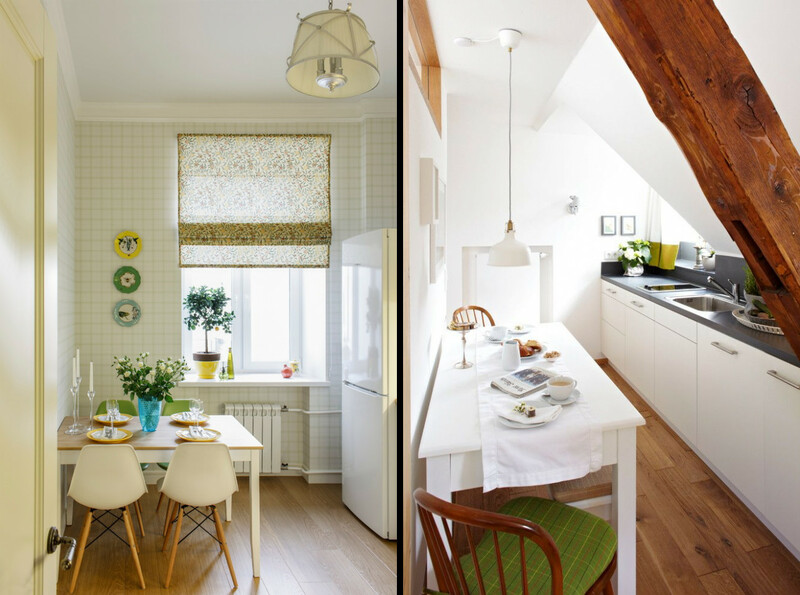 We have selected in the photo gallery different design patterns and ideas to help you outline a picture of how to arrange a small dining place in your kitchen. Do you want to have a small dressing room in your bedroom?